Anyway, the weather has been so amazing this past while, all the clothes are being dried outside, and most of them come in crease-free. 1. Where would you take the blogger group for a chat, if they came to your house? Ah well, Patrice, that would definitely depend on the time of year and the weather on the day. If it was one of the three or four summery days of our years, I may take you to our sand dunes, down the road. In the dunes, although we're on the beach, it's more sheltered from the breeze, so it's certainly a lovely place to sit and chat. We'd take a picnic basket down and have our cuppa there. Er, yes.... I said 'cuppa'. We'd take the flasks of hot water, take some teabags, our china mugs and have tea on the beach. Y'all got a problem with that? It it was windless as well as sunny, we could sit on the beach itself. out of the wind and the cold, and enjoy the view from inside. All in all, I'm not sure the place would be important. The company is what would matter. 2. How do you handle 'toxic people'? They're the ones that are very difficult to be around and generally don't bring out the best in us. Mmm, I don't really know many of them. I think I'd just keep clear of them if I was able to. Thankfully, I don't have them in my family circles, so I can choose that option. 3. In high school, were you the athlete, the cheerleader (actual or just your personality), the geek, the social butterfly, or lost? Er.... Why did y'all choke on your tea? And WHY are y'all rolling about the floor, laughing?? Okay, okay. Option 4: Lost. I hardly even have memories of high school, and if I do, they are not particularly great. They aren't awful, horrendous or traumatic. Just ...nothing, really. 4. What's your favourite thing made from apples? 5. Do you do most of your shopping in stores or online? Yep, you guessed it: online. I love that I can do so much of my shopping online and have it delivered to my door. I long for the supermarkets here to begin doing online shopping for the groceries. That would be fan-tas-tic. No shopping trolleys; fewer trips to town; no loading into bags and the checkout and then into the car (in the driving rain, often!). Grrrreat! We were buying a new freezer a couple of weeks ago, and discovered that we could shop online from one of our local electrical stores, and they delivered the freezer to us the following day. That was our ideal situation. We really wanted to support a local company, but I do love the convenience of online shopping. Here, we found both could be done. So, good for you, Lighting and Electrical. Best of both worlds. I'm off now, Patrice, to do some work. The Wee Guy is doing his Maths; the girls are doing Maths too, and I'm gonna get a bit of my translation work done. So, much as I'd love to stop and chat longer, I've just gotta go. I do believe that if bloggers came for a chat....they would find a wonderful place to sit with that tea wherever you led them! Your place is beautiful!!! I loved reading this post.........and yet, my heart ached a bit. Oh, how I would love to be right there on those dunes with you and your family one day! Your lounge is gorgeous! Hmmmmm, when the LORD allows your visit here, I am afraid my home won't be as stunning....but, you will be treasured and loved if you come to Virginia! Chats at the beach would be awesome. Have a great day! The dune would be a perfect place to chat. Your lounge is lovely. We won't tell the builder that Jackson was there. Apple pie seems to be a favorite with everybody. I was so happy to hear that D1 is helping you with some designs. She's so talented with that work. She's doing some improvements on mine too. I agree that the company would be the most important thing but I LOVE you place suggestions! Yes please! It amazes me that you can go to the beach and there are no people. I have to say it must be lovely to live that way. We have so many people in California. You have such lovely photos. Cathy, if you get to know my through my blog, you'll know that my heart is Southerner.... we didn't call our dog Jackson for nothing you know! But, no, us Scots don't use y'all...ever. Only me! And only on my blog, cos I feel I'm talking directly to y'all :) (Love, *Anne* ;).. I feel bad having shown a photo of the Lounge... Y'all will be under the impression my whole house looks like that! It's the only room in the house that's tidy from day to day - the Family Room is used ALL the time, and always has books and papers and cups lying around. Oh, just about anywhere you would choose there for a chat would be wonderful. Your lounge is so warm and inviting...maybe it's Jackson? And those dunes would be so cosy with a cuppa and some rugs. Oh, I wasn't thinking that at all. You homeschool! What homeschooler is organized all throughout the house? Really, I know the importance of one nice room. I was just "in love" with the paint color. Would love to have a cuppa on that beach w/ you and your chat group. Beautiful place, that isle of yours! What a beautiful lounge! and a heavenly place to live. How nice that you don't have "toxic" people in your life. This has been the 'story' of mine, but also a good training ground for learning about Jesus and true Christianity. I agree about groceries being delivered. That would be a dream come true! I would love a cuppa wherever you choose. I love your views. Wow!!! I actually like to grocery shop in the store, I could waste hours in there. I know weird. From one lost high schooler to another have a great week. I would love that cuppa with you!!! Although I don't drink much tea ~ however if I lived in a climate where there was only 4 summery days in the year I may well take it up more regularly!! 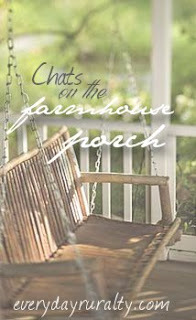 I enjoy these posts of yours ~ whether at porch or beach! It's been awhile since I've visited "the croft"...and I've missed you! I love your photos of the beach...ours is much more rocky...not quite as sandy. Yours looks great for squishy toes! You have a comrade across the seas...I am also drying clothes on the line most days (although by choice, our dryer is working...at least for the time being! )It is incredibly warm here in Maine for November...not that I'm complaining in the least! Last winter we had snow by this time...as I recall. Hope you all are having a very blessed day...I'll be back again soon to catch up!